Each Wusthof knife is accompanied with a complimentary knife sharpening service to make certain your knives stay sharp for life. The Bread Knife features a long serrated edge that allows for an easy, crush-free cut through any food with a firm, crusty exterior and a soft interior. 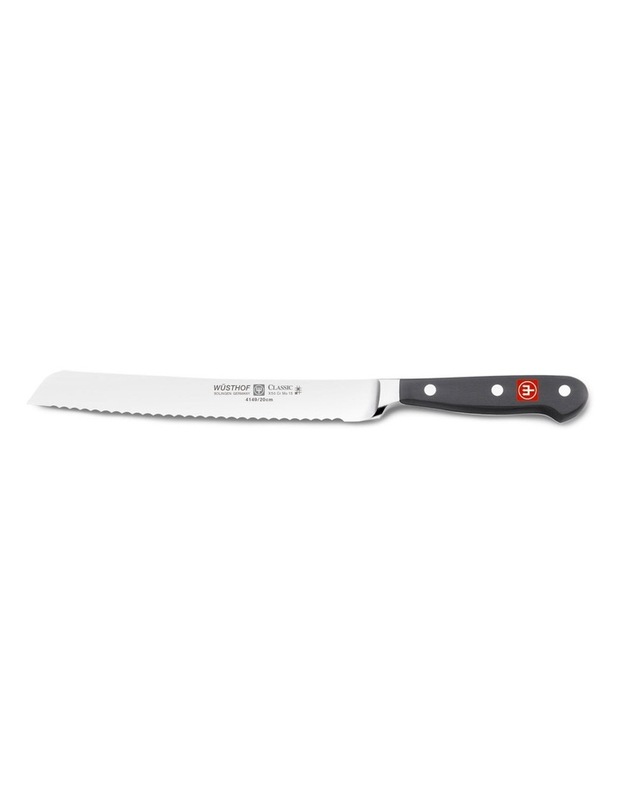 The long blade is ideal for crusty bread, cake, toughed skinned fruits/vegetables and a crusty roast. Like all other Wsthof knives, the Bread Knife is forged from one piece of specially tempered, high carbon, stainless steel. Lifetime warranty on all manufacturing faults and defects.